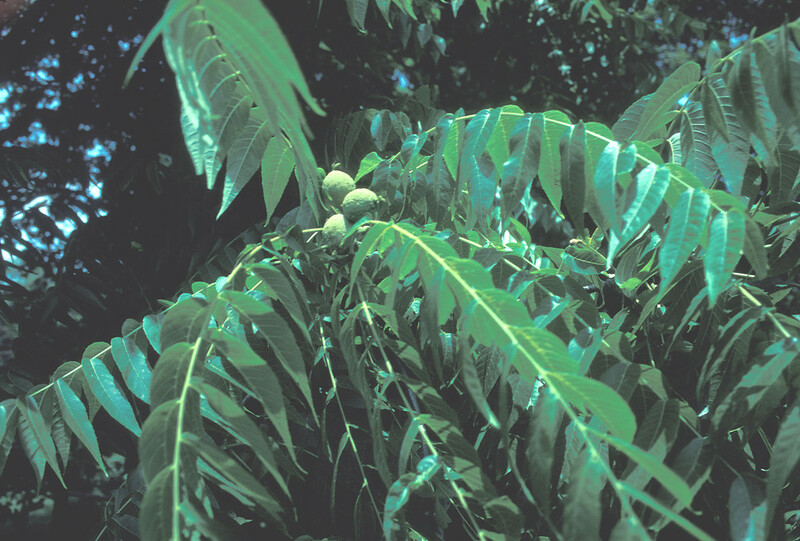 Black walnut is one of the most highly prized trees of the North American flora -- for its edible walnuts and its exceptionally beautiful wood with darkly patterned grain. 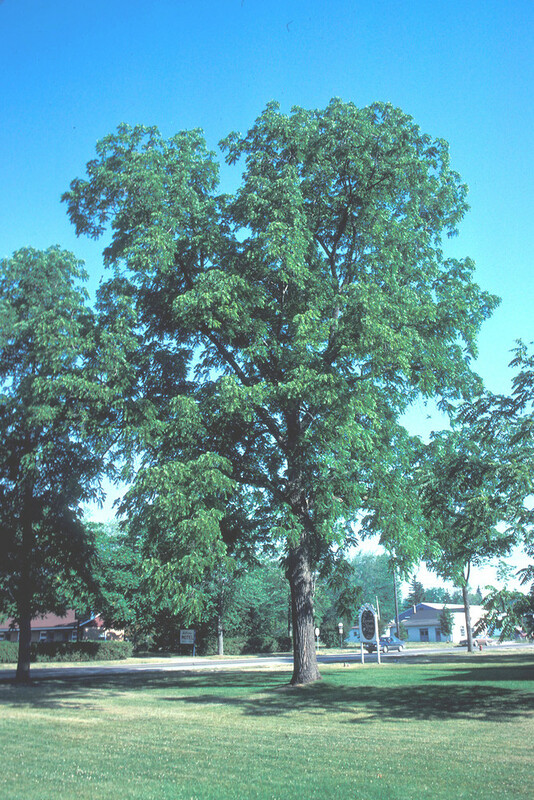 It was a dominant and majestic canopy species of primeval midwestern and southeastern forests, attaing heights of 150 feet (50 m) or more. 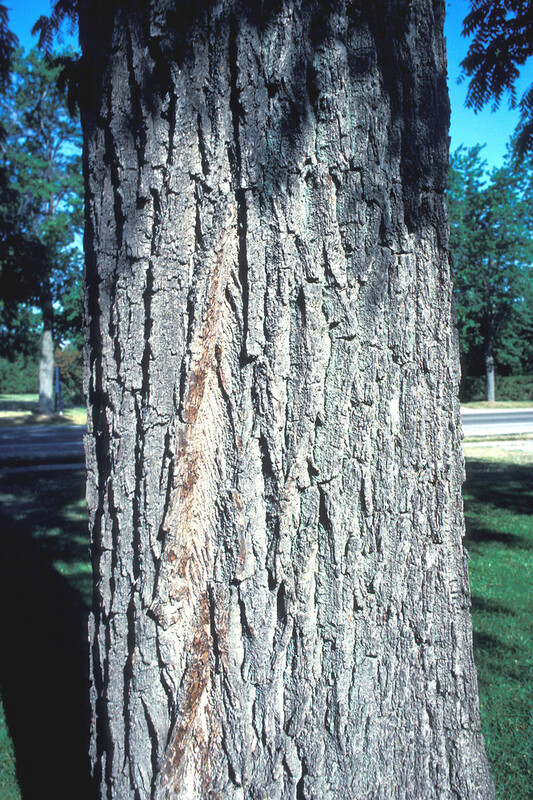 But clearing for agriculture and harvesting for making railroad ties, gunstocks, log cabins, cradles, veneer, and cabinets decimated the species. 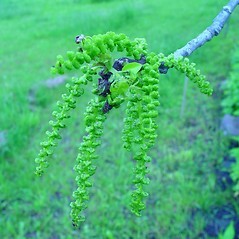 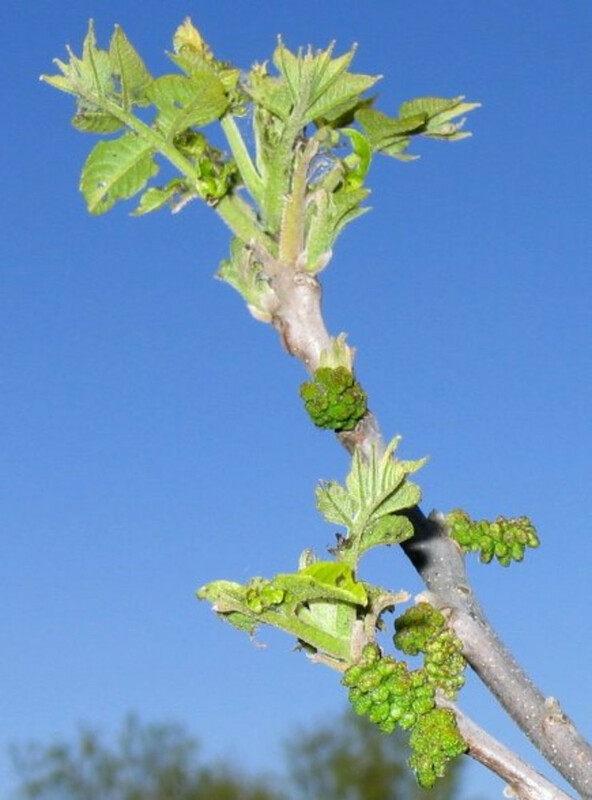 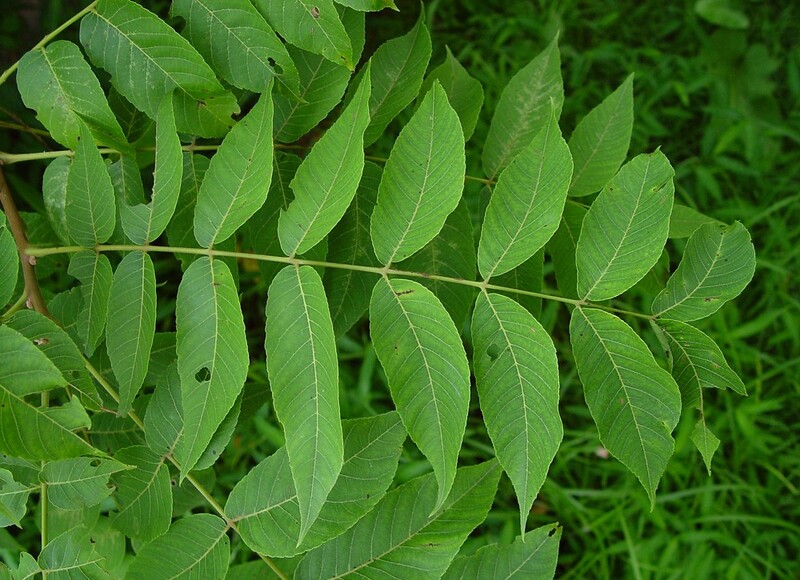 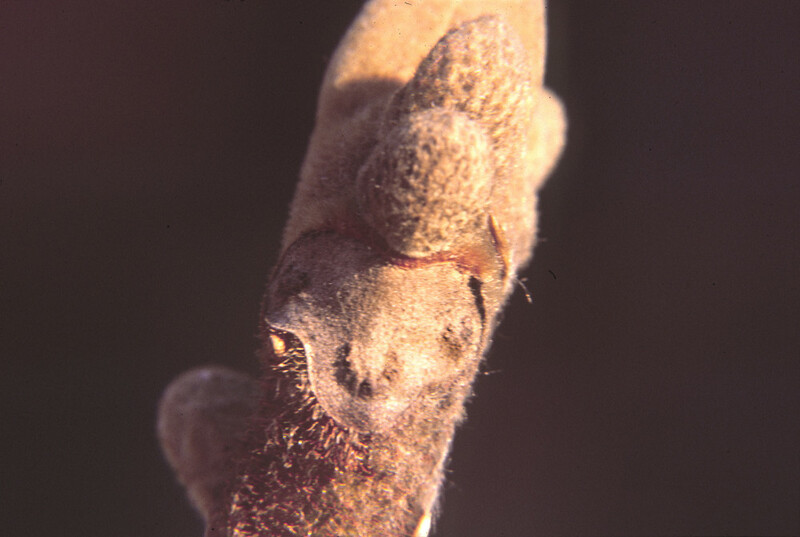 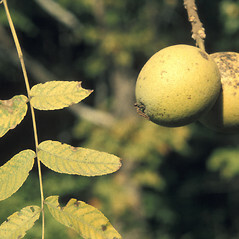 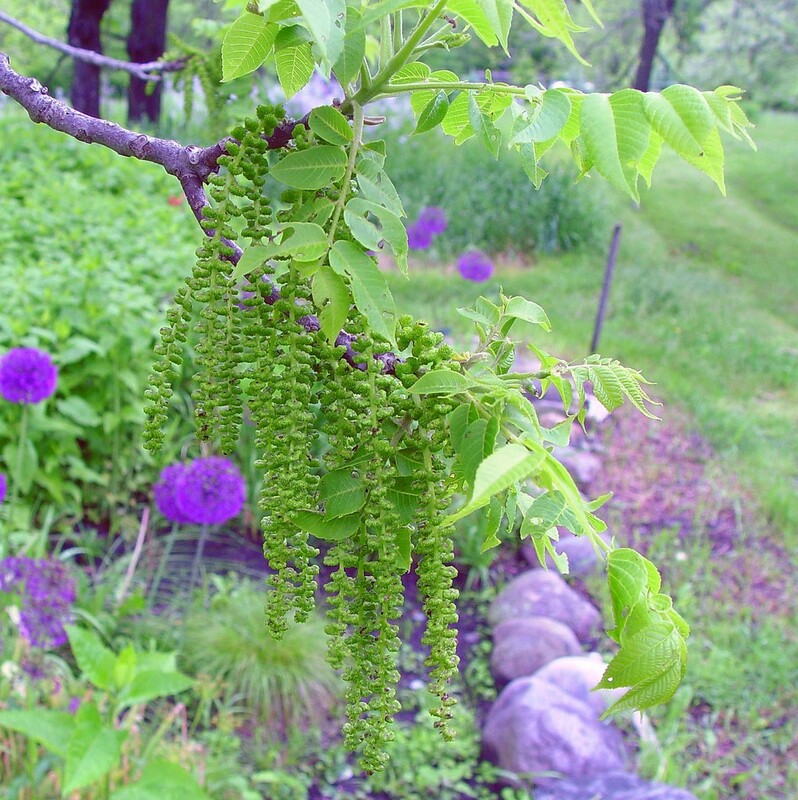 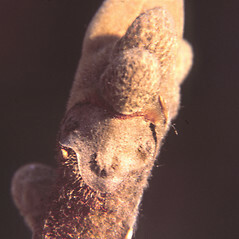 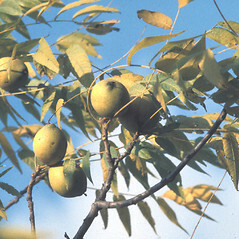 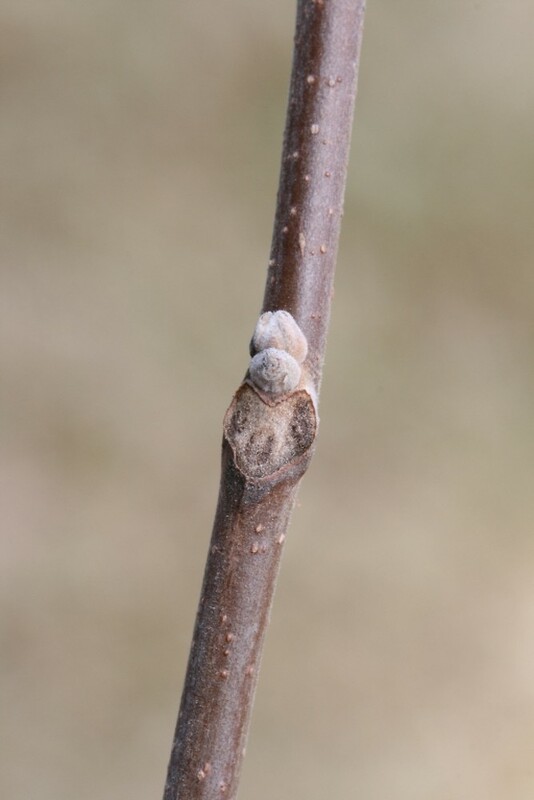 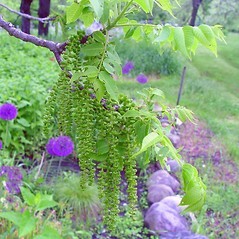 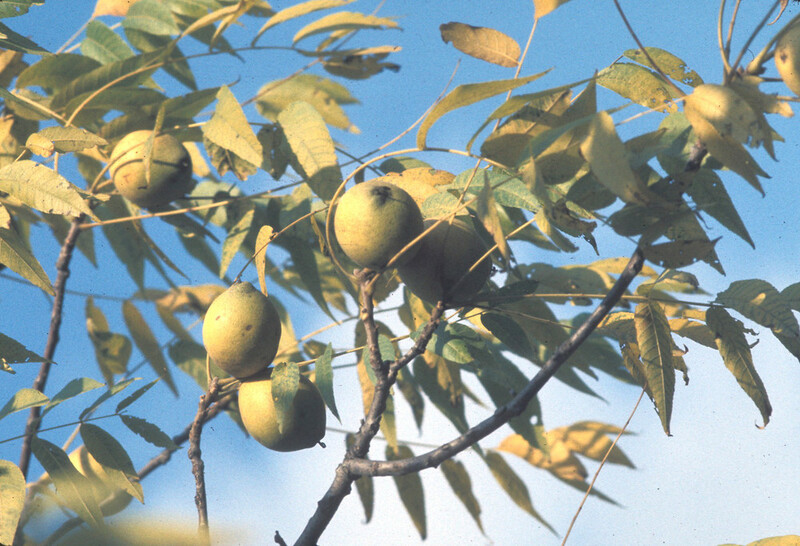 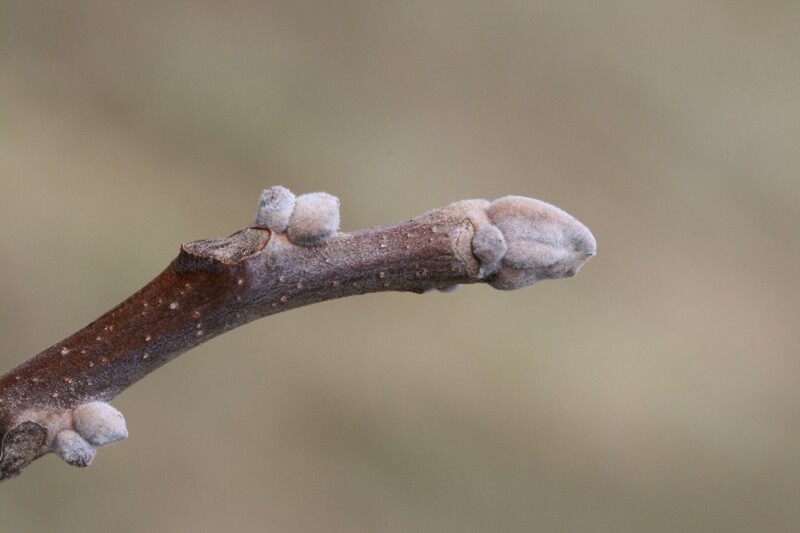 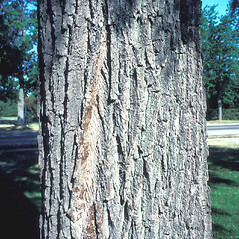 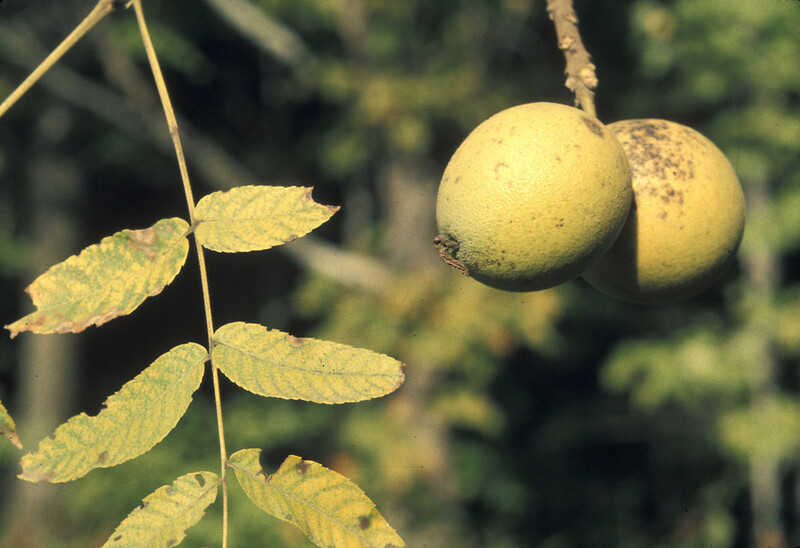 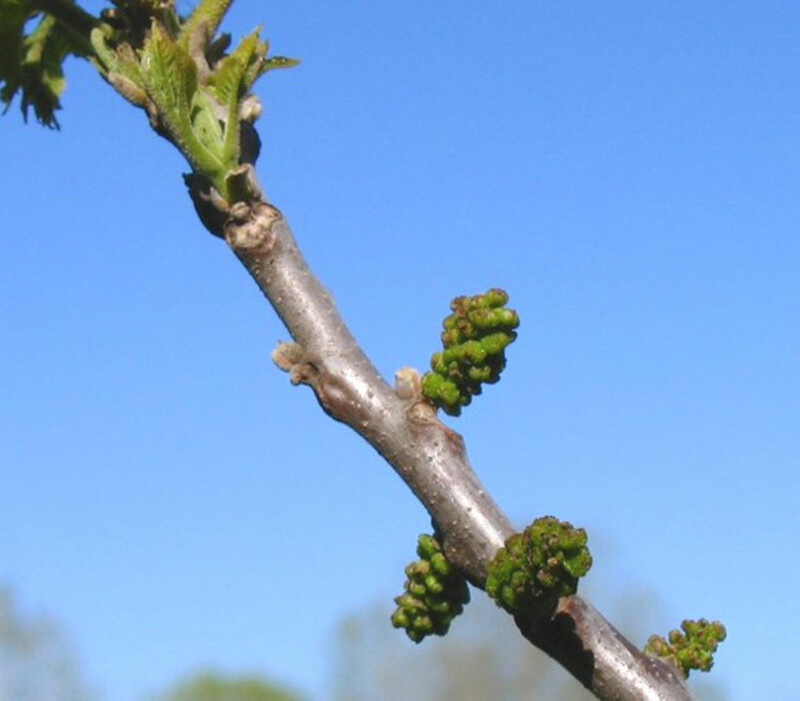 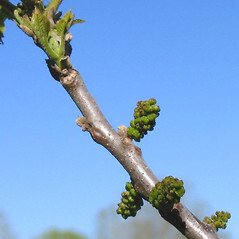 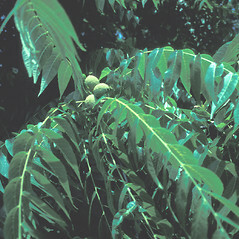 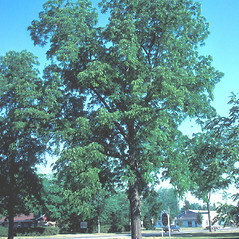 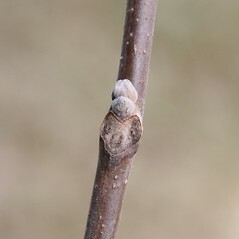 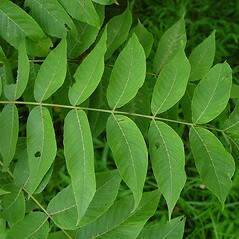 Its glossy, mostly hairless leaves and twigs with light-brown pith distinguish black walnut from other Juglans species. 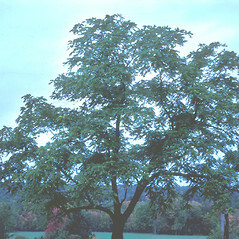 Chemicals exuded from its roots may inhibit the growth of other plants. 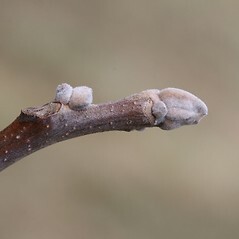 pith of branchlets dark brown and fruits 3-7 together and ellipsoid (vs. J. nigra, with pith of branchlets light brown and fruits solitary or paired and spherical or nearly so). 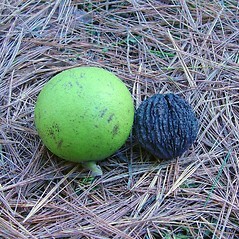 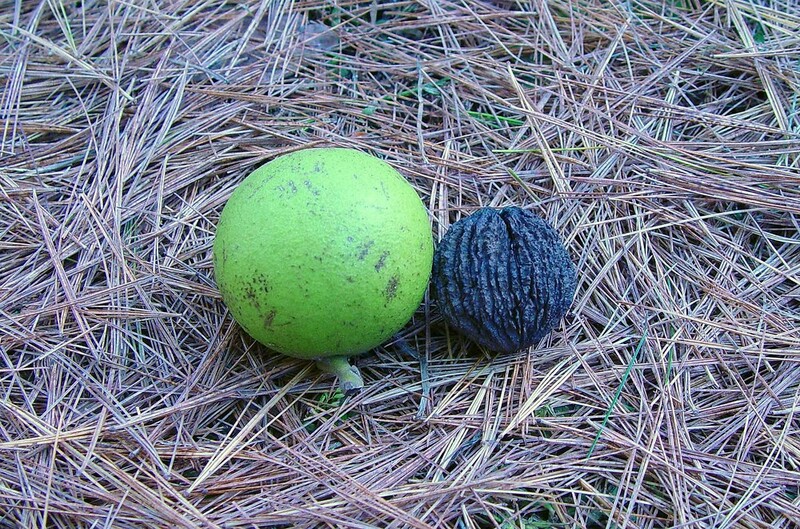 black walnut. 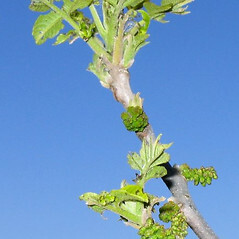 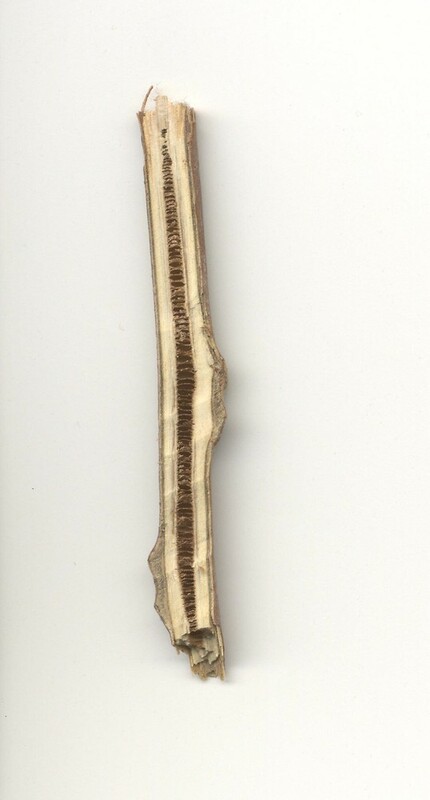 Wallia nigra (L.) Alef. 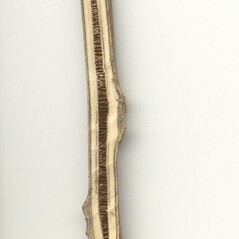 • CT, MA, ME, NH, RI, VT. Roadsides, yards, field edges, deciduous forests. 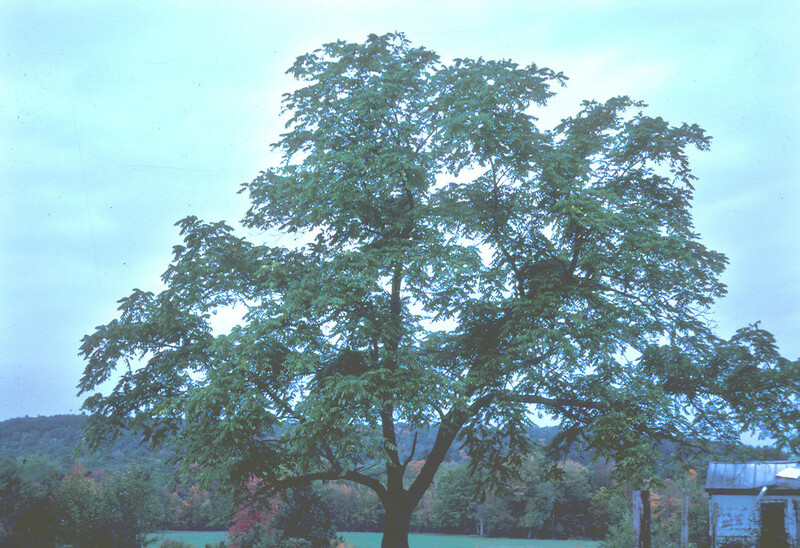 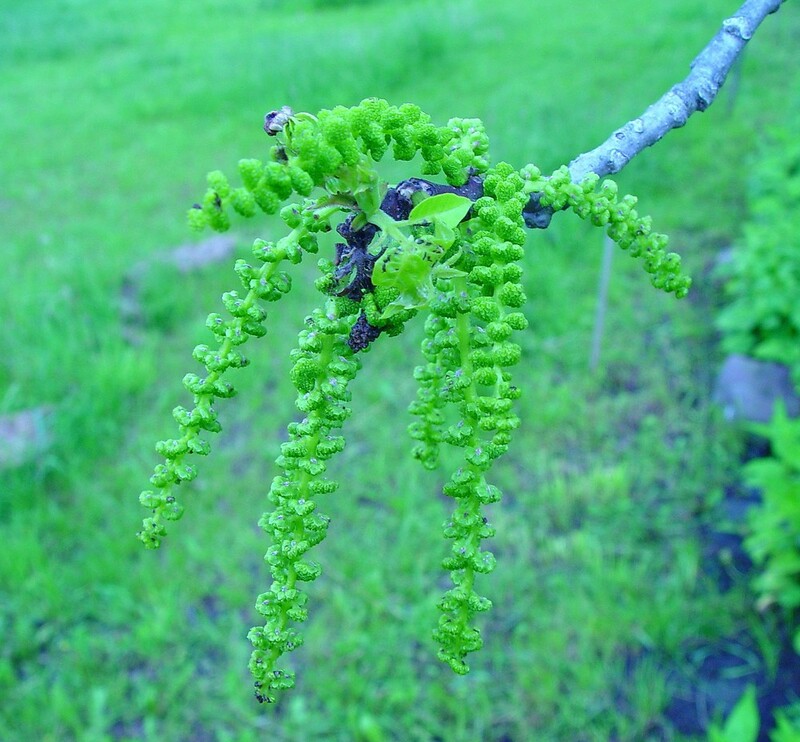 This species is certainly not native to most of New England; however, it is possibly native to some CT counties ( fide Dowhan 1979; including Litchfield County) and should receive conservation focus.